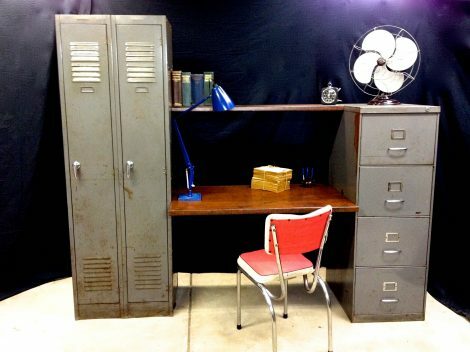 Vintage industrial desk with matching grey filing cabinet and locker. Desktop and shelf is treated and sealed rusted iron. Dismantles for transport. 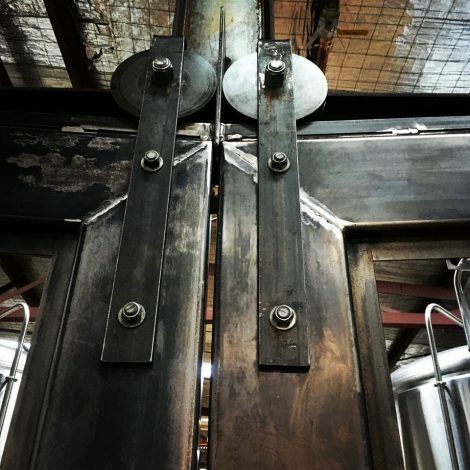 Custom made steel roller doors. 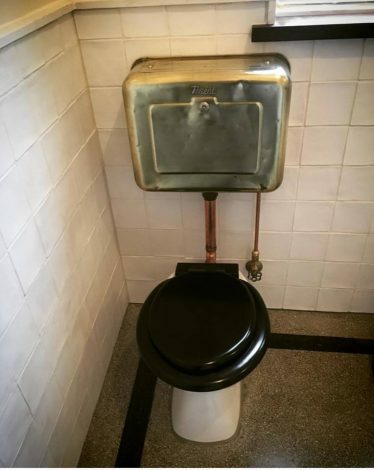 Restored Brent cistern with Bakelite toilet seat. 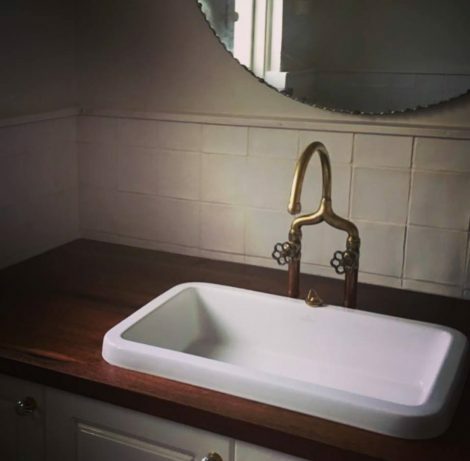 Unique custom made tap ware. 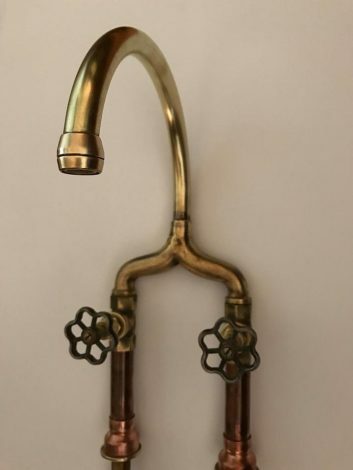 Unique custom made tap ware with valve handles. 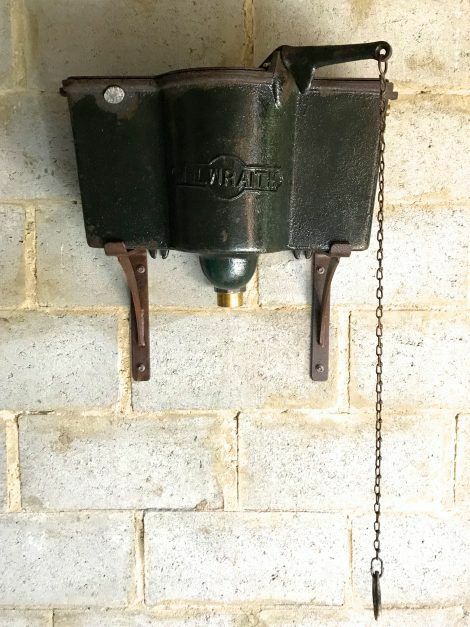 Rare vintage cast iron McIlwraith toilet cistern, dark green gloss. 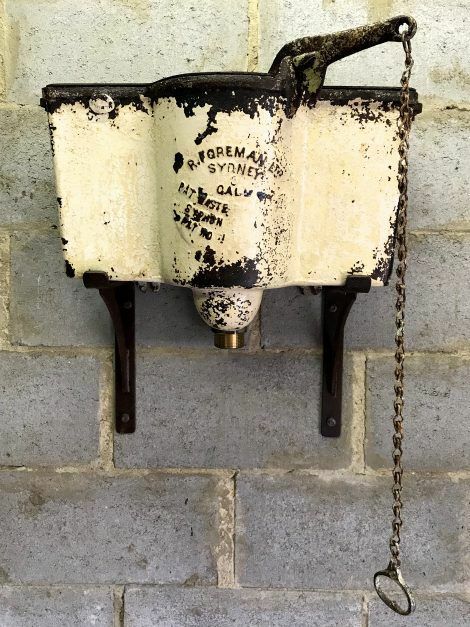 Rare vintage cast iron toilet cistern. Custom made new steel lid. Original lever and chain. 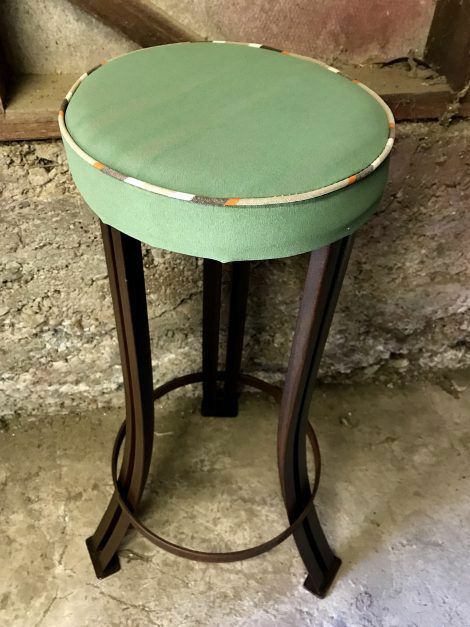 Hard forged steel bar stool in sealed rusted finish. 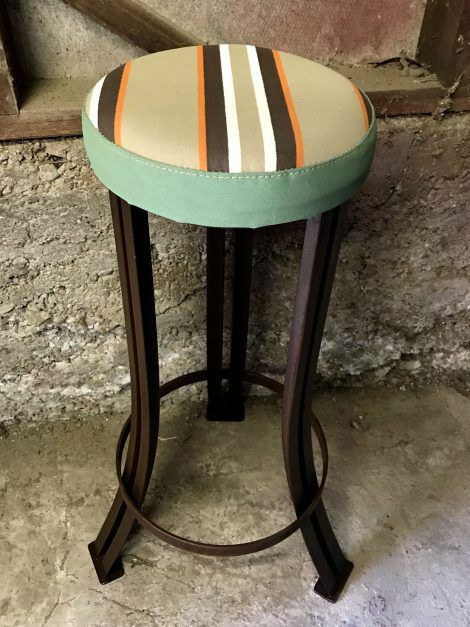 Upholstered vintage striped canvas padded seat. 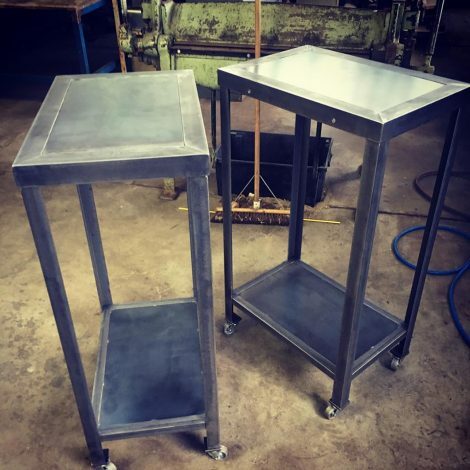 Can be custom made to any size and quantity with your choice of steel finish and seat colour. Hard forged steel bar stool in sealed rusted finish. Upholstered vintage canvas padded seat with striped piping. Can be custom made to any size and quantity with your choice of steel finish and seat colour.